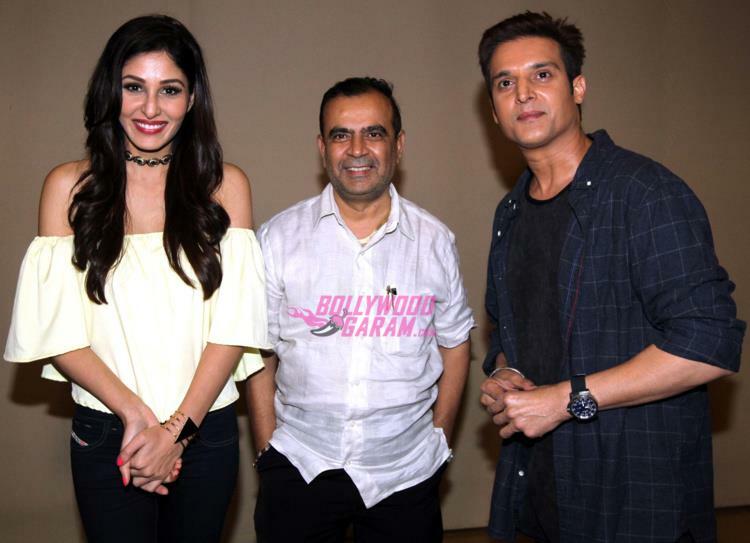 Actors Jimmy Shergill, Pooja Chopra and Bruna Abdullah launched the music of their upcoming movie ‘Yeh Toh Two Much Hogaya’ at an event in Mumbai on August 6, 2016. The movie is directed by Anwer Khan and produced by Ali Unwala and co-produced by T Nillay Pande. The launch event also saw the presence of Yogesh Lakhani of Bright Door Media, Vijay Patkar, Rajiv Surti and Ayub Khan. The movie is all set the hit the theatres on September 2, 2016.